Or as low as $81.33 per month over 12 months. Apply Now. JL Audio SB-HY-GENSIS/10TW3 Stealthbox for the Genesis Coupe is the perfect place to start your audio upgrade. 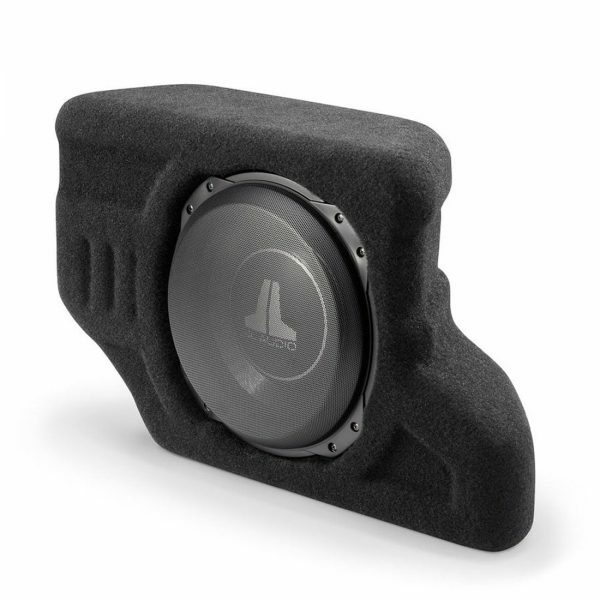 It features a robust JL Audio TW3 10-inch subwoofer housed in a compact, sealed, fiberglass enclosure which fits neatly into the passenger side rear corner of the trunk. 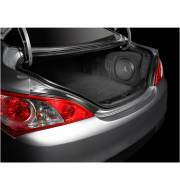 The form-fitting design conserves your valuable trunk space, while still permitting full access to the spare tire. A clean-looking steel mesh grille protects your investment from loose cargo. The Hard Data: Contains one 10TW3-D4 subwoofer in a sealed enclosure. 400 watt power handling. Wired for 2 ohm mono. Installs in the passenger side of trunk compartment. Black, steel mesh woofer grille is included.